This issue features essays about Lang Jingshan’s landscape photography in its historical and political contexts; the development of the landscape handscroll in East Asia through a study of The Illustrated Life of Ippen; painted palm-leaf manuscripts in medieval South Asia; the Sino-Tibetan hybrid architecture of the Miaoyinsi Buddhist temple; the history of the Tang tracing copy of Ritual to Pray for Good Harvest; and the Qing imperial appropriation of the sacred mountain range of Wutai Shan. Contributors include Aurelia Campbell, Wen-shing Chou, Martin Kern, Jinah Kim, Mia Yinxing Liu, and Jerome Silbergeld. 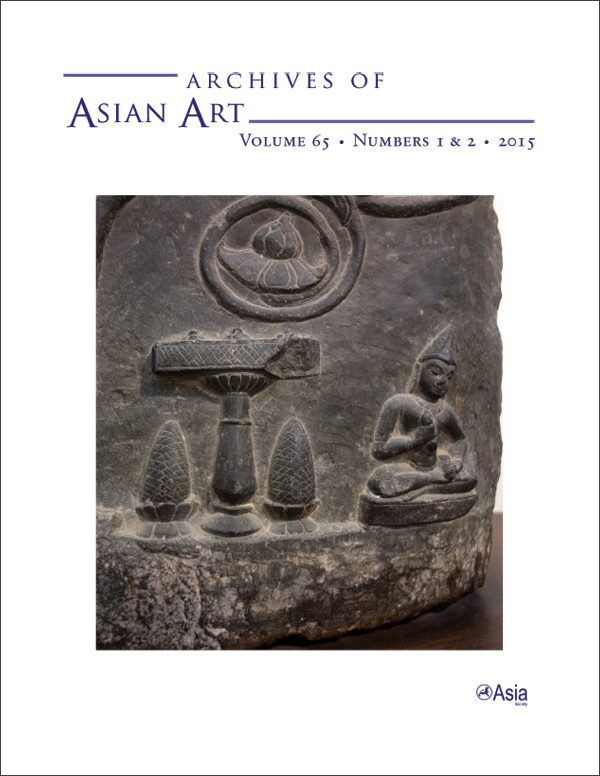 View the table of contents for Archives of Asian Art 65:1-2, at the journal's online site.